Yak & Yeti restaurant is found in the Asia section of Disney’s Animal Kingdom. It is hands down our favorite restaurant at Animal Kingdom and possibly all of Disney World. Here are the reason’s why! It is themed like a inn that has been transformed into a restaurant. The authenticity is so good that I have overheard many people ask if it is an actual hotel that you can stay at! Unfortunately, it is not, although that would be really cool to stay inside the Animal Kingdom park! The decor is beautiful and are said to be the proprietors collection of Southeast Asian artifacts! The restaurant is said to be Nepalese (Nepal), but the food is pan-Asian. The dishes are delicious. We’ve enjoyed the Sweet and Sour Chicken as a shareable meal on a previous trip and our last visit enjoyed our own Noodle Bowls, which also could have been shared! Yak & Yeti also has a full bar where you can enjoy creative and unique cocktails. I have seen Yak & Yeti take people without reservations, but the wait typically would be very long. Saying this, I highly recommend getting an Advanced Dining Reservation for this restaurant! The great thing about Yak & Yeti is that they also have a quick service side! So, you can sample smaller bites at their quick service location. You’ll find Yak & Yeti across the bridge directly after entering Asia. Want to know why you should linger after your meal in Asia for a while? Check out my post on Animal Kingdom’s Asia! 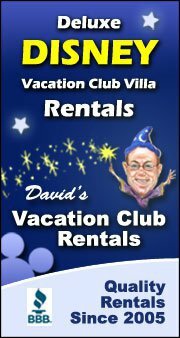 Planning a Disney World vacation? Did you know the services of a Travel Consultant are FREE? Follow these links for More Information or to Request A Quote. This entry was posted in Disney World and tagged advanced dining reservations, animal kingdom, artifacts, asia, Disney World, favorite, hotel, inn, love, nepal, nepalese, pan-asian, quick service, restaurant, south east asia, table service, why you'll, yak, yak & yeti, yeti.